When it comes to signage in public buildings, the Americans with Disabilities Act (the ‘ADA’) generates a great deal of concern, confusion, and in some cases, compliance risk – to building owners and property managers. In fact, on March 28, 2014, the maximum penalty for a single ADA violation increased to $75,000 for the first offense. Signage in public buildings is not exempt from ADA requirements and potential fines. Consequently, it is important that building owners and property managers understand the basic requirements that will ensure ADA compliant interior signs. The Americans with Disabilities Act was passed by Congress in 1990 as the Nation’s first comprehensive civil rights law addressing the needs of people with disabilities. It prohibits discrimination in employment, public services, public accommodations, and telecommunications. Following the initial legislation, Attorney General Eric Holder promulgated the Standard for Accessible Design on July 23, 2010. The updated Accessibility Guidelines were published in the Federal Register on March 15, 2011, and became mandatory for all construction and facilities alteration projects on March 15, 2012. Failure to use ‘sans serif’ fonts for all lettering. Incorrect ‘kerning’, or spacing between letters. Tactile letters that are either too big or too small. 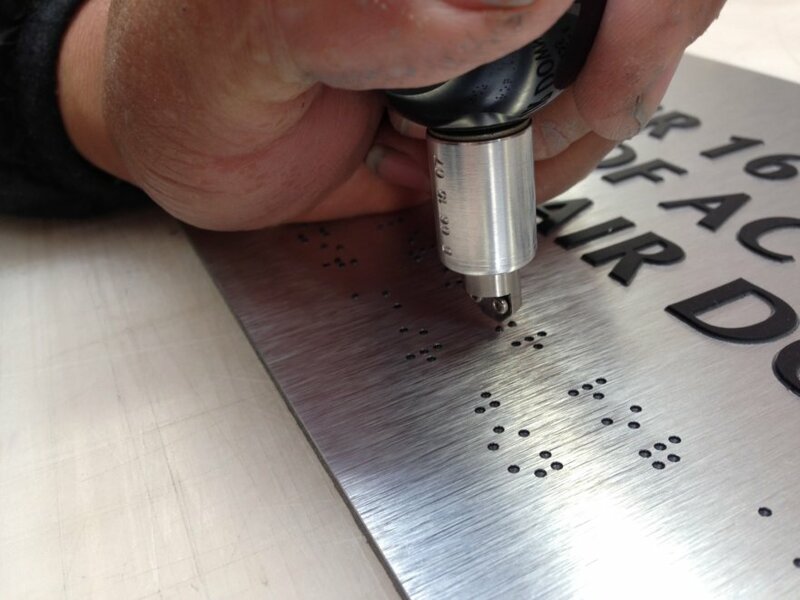 Braille ‘dots’ that do not comply with specifications regarding size, shape and spacing. 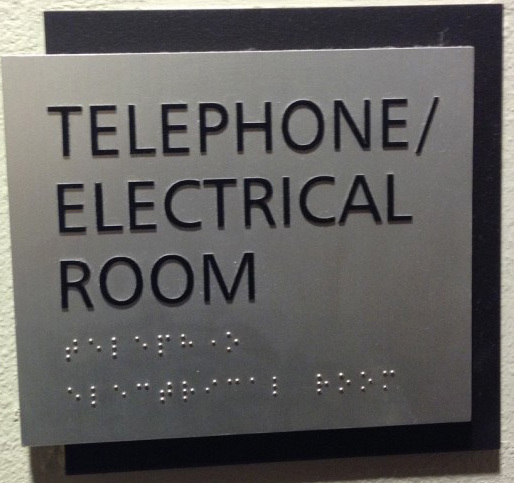 Incorrect mounting, related to the minimum and maximum heights of tactile letters and braille elements. This sign is both custom and ADA compliant. Starfish Signs and Graphics has extensive experience designing, manufacturing and installing ADA compliant signs in businesses all over Orange County and Southern California. We have the knowledge and experience to ensure that your ADA signs are compliant while still incorporating the design elements that are important in your building or project. Call us today and to get a fast, free quote on our ADA signage services.